Lovin That! : Are You in Prison? Somedays I am. I saw this quote early in the week and it was like a big whack in the head. I have had some really great things happen lately and with the wave of life there is always the challenges that come, teaching some sort of lesson. For me, this quote is the lesson. Actually to be honest, looking at challenges as a lesson that I will grow from has helped a lot in putting them into perspective. 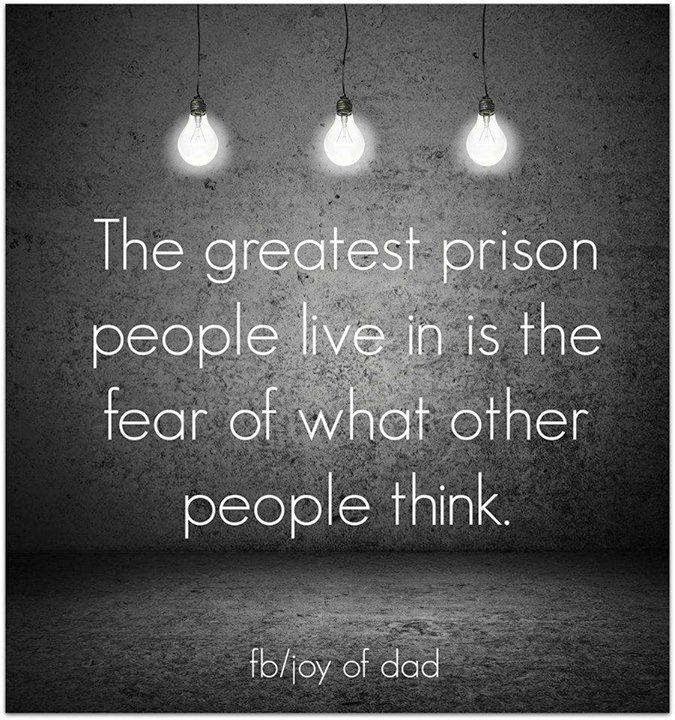 I was thinking - imagine how free everyone would feel and how you would get to see the best and most creative parts of people if they didn't care what others thought. Now, with this might be some nastiest, but the nasty people will be there doing their thing, it's usually the good souls who worry too much. The older I get I do get glimpses of this freedom. Sometimes I then get knocked back down but the difference now is I'm trying to get back up quicker, dust off the negative self talk and live life with authenticity and integrity, imperfections and all!